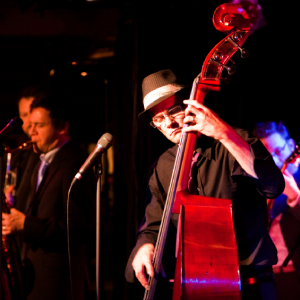 Steve Morrison leads one of Sydney’s top weddings and functions bands. Steve is based on the Central Coast and his band love traveling north to play great music together. Typically, the band will start with classy jazz and then as the event progresses will lead into fun dancing tunes from Bruno Mars through to Elvis. The band can be as small as a duet or as big as a 10-piece showcase band. Steve has been a professional musician for over 20 years, a regular headline at Sydney’s iconic “The Basement”, a headline at Manly Jazz plus many more performances including national TV. The band comes with either male or female vocals and can adapt to suit your function.